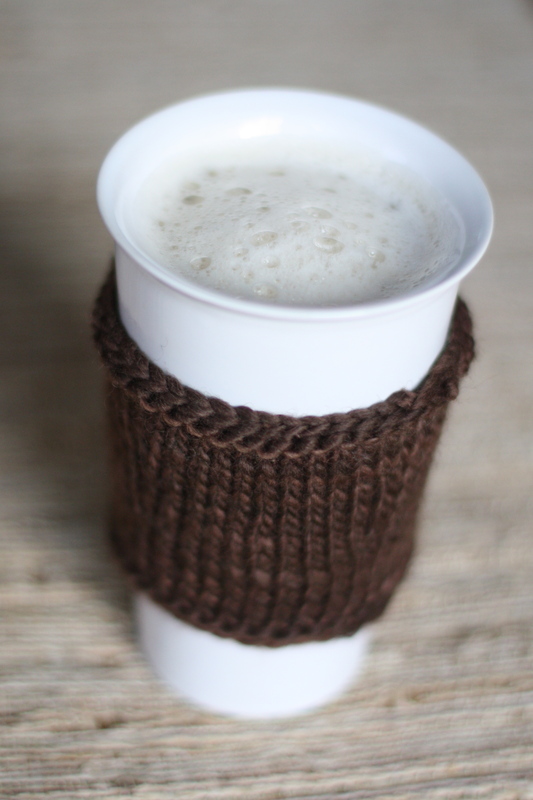 I mentioned last week that I had picked up some Manos del Uruguay to make some coffee cozies. Well, I finished a project yesterday, and before I started something new I whipped up a coffee cozy. It's such a quick project and if you're not comfortable working with a set of 5 dp needles, this would be a great project to practice with. I've got a trick for making foamed milk that will make your coffee extra special. It doesn't include taking a trip to Starbucks either, you can do this right at home! I had seen this online months ago. I don't even remember where I saw it but I do remember the instructions. 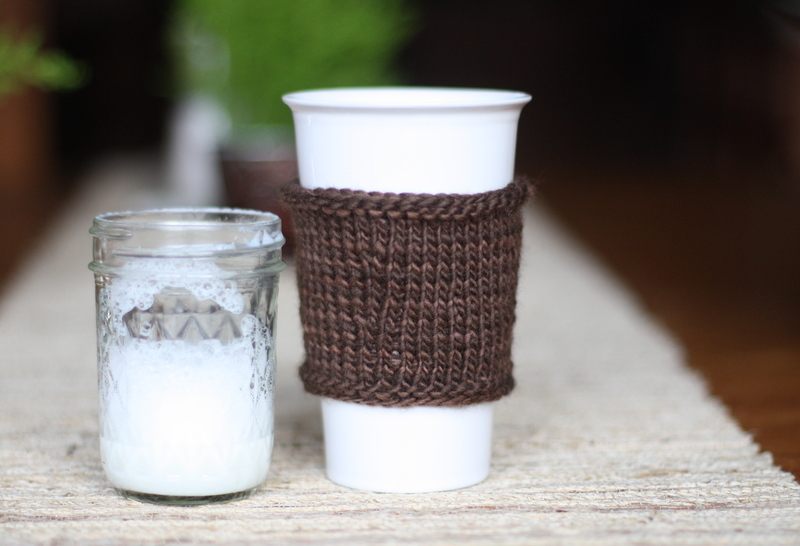 Take a small mason jar and put about a 1/4" of milk in the bottom. Cover and shake vigorously. Then put in the microwave for 30 seconds. You'll have a lovely foam to top off your coffee. These two go together like PB&J. So is your next venture a coffee shop? I think the coffee cozy is a project I would even finish!! 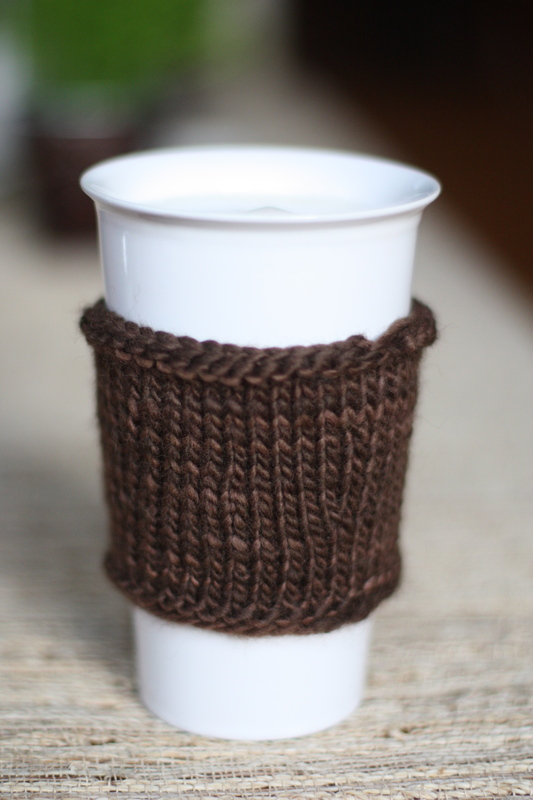 I do something similar for foam at home, but that coffee sleeve is too cute! plus, talk about the perfect colour- no worrying about coffee stains! Neat Kee. Looks like my speed, quick and done! I am not too sure about these long projects that I take on! Awesome! Loving the color, too.